Family Law Mediation | Jerner & Palmer, P.C. The attorneys at Jerner & Palmer, P.C. empower individuals to work together through mediation to find solutions that best meet the needs of their family and resolve legal and financial issues fairly and efficiently. 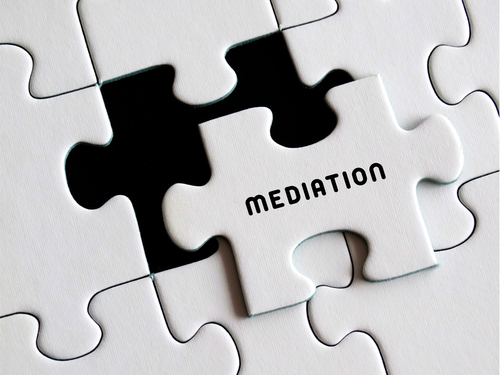 Mediation in divorce, custody and support cases is a process where parents and/or spouses work with a mediator to help them make decisions that will form the basis of their marital settlement agreement, custody agreement or support agreement. The mediation process allows parents and divorcing spouses to work together to find solutions that best fit the needs for their family without judges or courts deciding the issues for them. Working through difficult issues in the collaborative forum of mediation often sets a positive tone for the relationship between former spouses and parents going forward. Mediation can be especially helpful for separating parents who will learn important communication tools in mediation that help them navigate co-parenting decisions that they will need to made for their children in year to come.